Why does it take 12-16 weeks to receive death benefits for a New York State employee, after a certified copy of the death certificate has been sent/received/scanned and sent back? We recommend that you email our customer service representatives using our secure email form. One of our representatives will review and respond to your questions. Filling out the secure form allows us to safely contact you about your personal information. We’re sorry for the trouble. Unfortunately, the NYSLRS social media team doesn’t have access to your retirement account information. To get the account-specific information you need, please email our customer service representatives using our secure email form. One of our representatives will review your account and respond to your questions. Filling out the secure form allows us to safely contact you about your personal account information. You can also contact our Call Center at 1-866-805-0990 (518-474-7736 in the Albany, New York area). The Call Center is open Monday through Friday, 7:30 am – 5:00 pm. I been waiting on paper work to fill. Out. My sister cleared account. But finally paid it back. Who can i talk to to expedite this. I am a tier 4 member with 38 years of service and 55 years old. I plan on working a few more years. 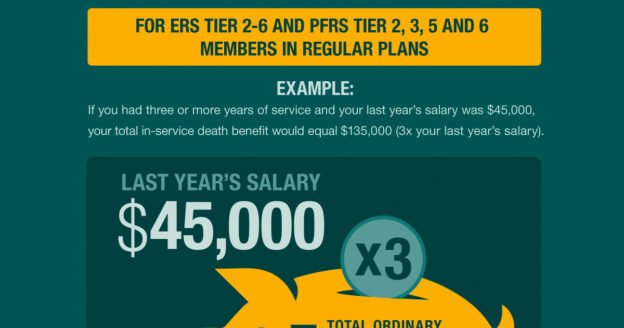 Will my spouse receive my pension benefits if I die before retiring? Generally, your spouse won’t receive a pension unless you retire and choose a pension payment option that provides an ongoing pension for a beneficiary. 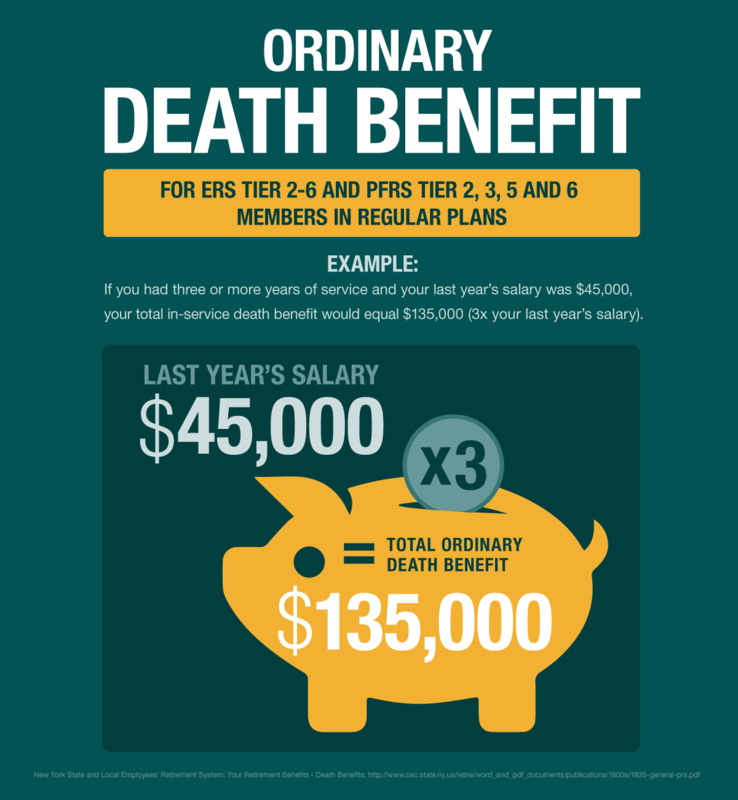 However, depending on your retirement plan, if you die before retiring, your beneficiary may be eligible for one or more of the death benefits discussed above. If you have account-specific questions, please email our customer service representatives using our secure email form. One of our representatives will review your account and respond to your questions. Filling out the secure form allows us to safely contact you about your personal account information.